DIGITAL FILE ONLY NO PHYSICAL ITEM WILL BE SHIPPED - Files are NOT editable - There will not be a watermark on your files. 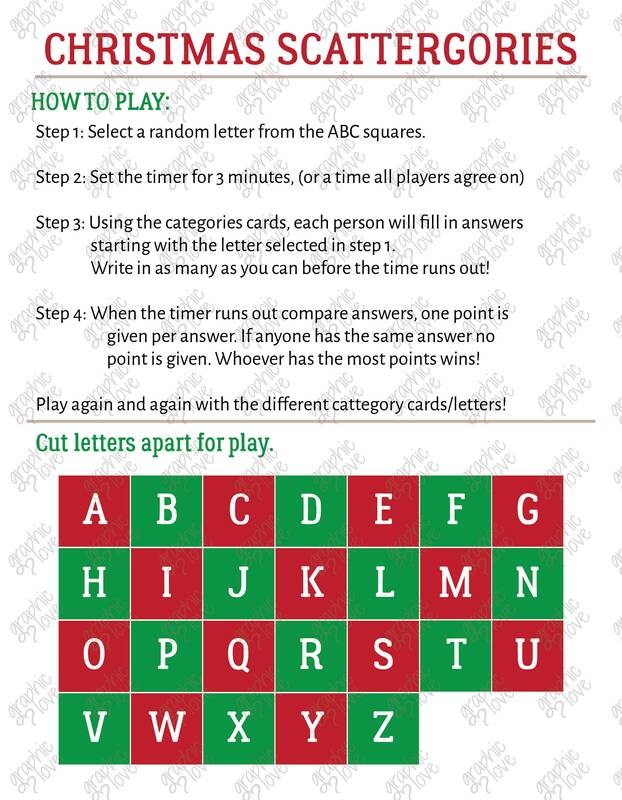 • Page 1: Instructions and alphabet letters (if you do not have an alphabet dice). 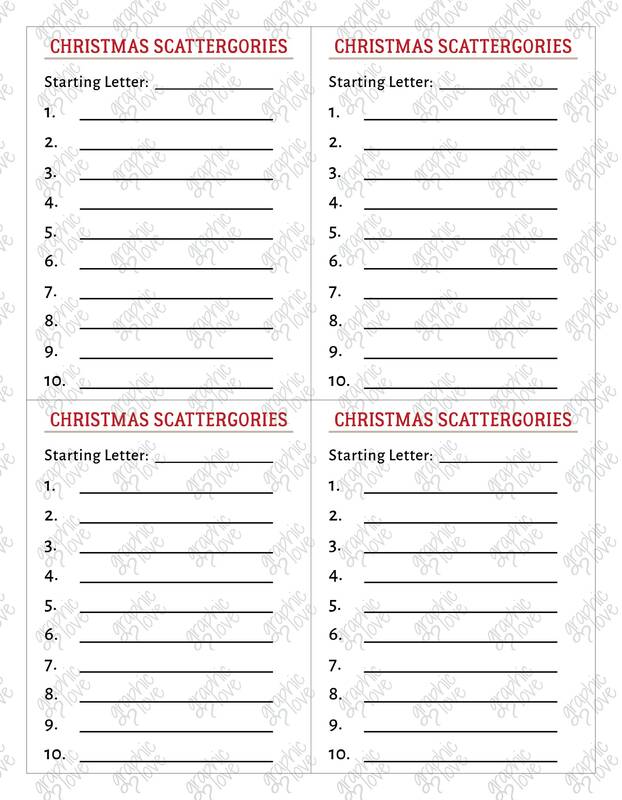 • Page 2: Four blank cards to write your answers on (you may need to print multiples of this page for more people playing). • Page 3-4: Each of these pages have four different category cards with 10 questions/categories on each card. After your payment is cleared, within minutes you will receive an email with a link to your download. Simply download, save and print. 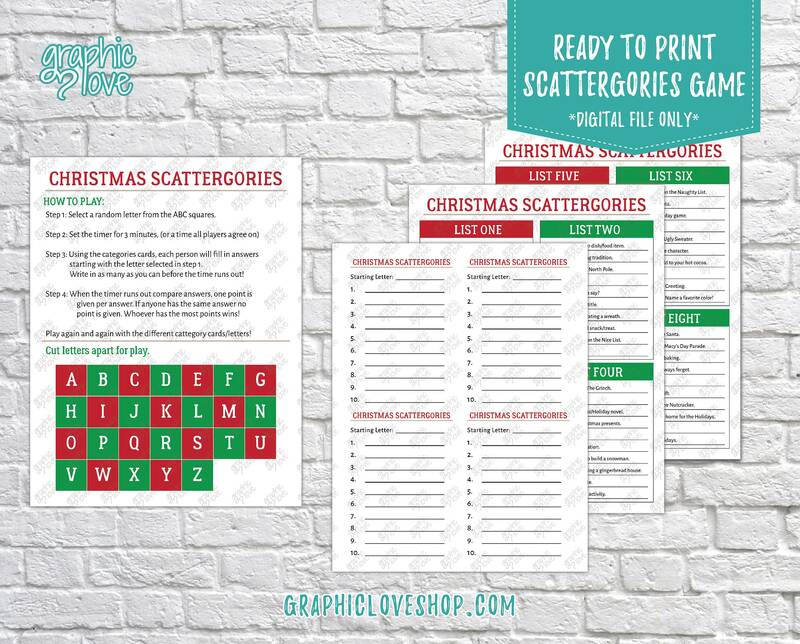 You can then either print from home or take to a printer of your choice.